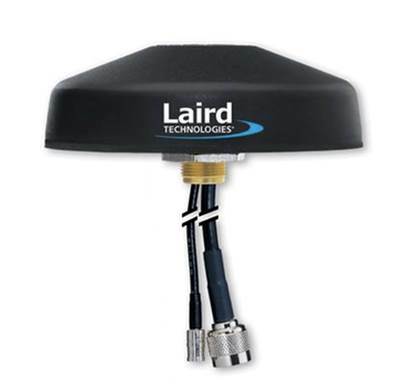 Laird Technologies Dual Band Phantom/GPS Antenna is designed for Automated Vehicle Location (AVL) applications. This surface mount antenna is a very low profile design featuring the field diversity characteristics of our patented Phantom technology with an integrated active GPS patch antenna. Laird Technologies Dual Band Phantom/GPS Antenna GPSD8063P is designed for Automated Vehicle Location (AVL) applications. Patented Phantom technology with an integrated active GPS patch antenna.